ISO for Innovation Management, ISO 50501, will be launched in early 2018. This is an ambitious new standard for ISO to take on considering the often ambiguous nature of innovation metrics and lack of a consensus definition of what innovation even means. Organizations by design need standard operating procedures (SOP) to build reliable systems. But when it comes to managing innovation, a vital activity that is necessary for the firm’s survival and long term success, there is no SOP to guide them on how to launch, manage, track, measure and learn from their investments in innovation. Bringing a disciplined method and process to innovation management is a must. This ISO initiative is welcome news considering so many companies are operating with their back against the wall and can use any help they can get to better structure their innovation activities. 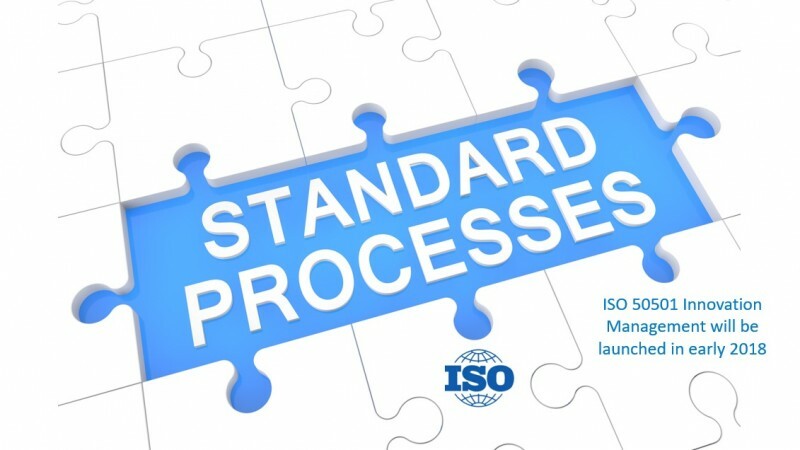 ISO for Innovation Management, ISO 50501, scope has been defined as: “Standardization of terminology tools and methods and interactions between relevant parties to enable innovation”. Creating a single source of truth for innovation is possible and you can take the innovation management maturity test to gauge your organizational readiness to achieve this objective. As with other ISO standards, companies will quickly realize that to create a sustainable system will require the right solution that simplifies and automates (as much as possible) the administration, tracking, management and reporting that is required to abide by the ISO standard. Planbox will be monitoring developments with ISO 50501 to ensure our customers can easily adopt all or partial elements of this standard to streamline and automate their innovation management system. Does your organization need such a system and what do you think will be the biggest challenge ISO 50501 will face as organizations look to adopt this new standard for innovation management?